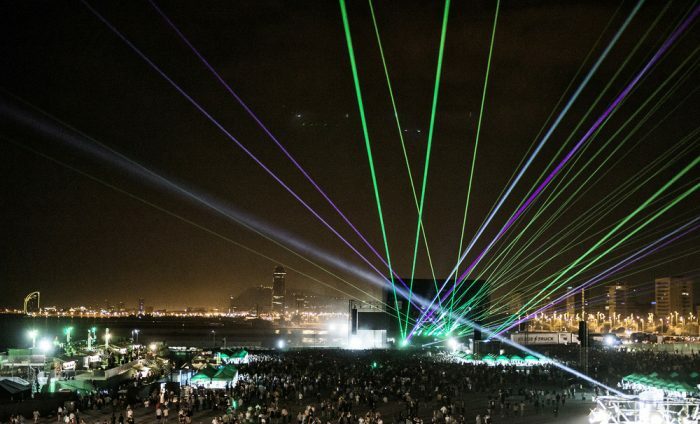 After a heaven-sent bank holiday we’re back at the office after Primavera Sound. As usually happens at almost every festival, we didn’t manage to see everything we were naively planning to. This year there were even more stages than ever, around thirteen, plus the Unexpected Primavera shows that were announced the same day (Arcade Fire played for only a hundred people on Thursday) and a secret new stage called ‘The Backstage’, which offered free drinks and could only be accessed with green tokens given out by staff members. The festival’s directors know well what people like most: feeling special and exclusive VIP areas. We began our first day battling for a free Cabify (Spain’s Uber) in Paralel and running to catch No Zu at the Bacardí stage in the extended electronic music area. They were one of the best and brightest surprises of the festival, and a great first choice to start off dancing. You could see the Australians had been looking forward to their performance as well, since they didn’t want to leave the stage: they kept taking pictures of the audience and pushing their ‘heat-beat’ sound as long as they could. After them, we moved a bit further to visit the newest addition to the Primavera Sound stage collection: the Desperados Club feat. Bowers & Wilkins Sound System. It definitely felt like an upgrade if you compared it to the Heineken stage located exactly at the opposite area of the festival. The Desperados Club programme opened around noon and people could access the beach, go for a swim and take a shower in the changing rooms afterwards. The place stayed clean and uncrowded the whole time so it became a great spot to escape from the hecticness of other areas. Solange was playing at the Mango stage on the opposite side though, so we had to move back towards the most congested side of the festival. She collaborated with the Spanish art director and photographer Carlota Guerrero and we were curious to see how that influenced her creative output onstage. The result was obvious; carefully balanced choreographies, beautifully curated lighting and a stage design to die for. 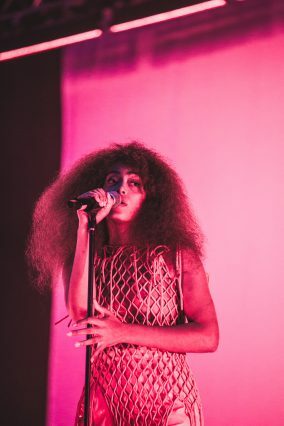 Solange’s neo-soul would have been a bit too quiet for a later act, so it felt also like the right moment for it. Time to move back to the electronic music side. 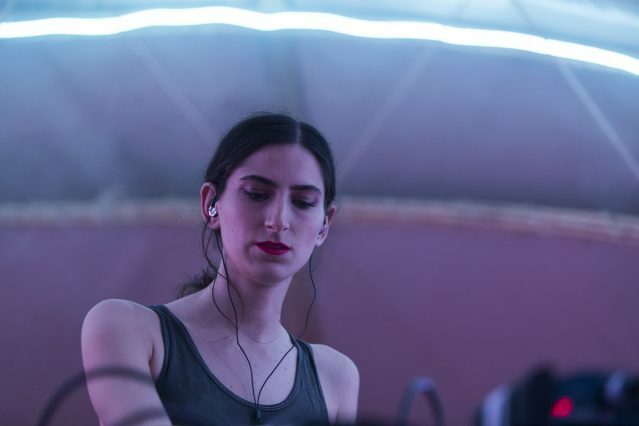 Brooklyn techno-head Aurora Halal didn’t disappoint the Desperados crowd; a strong and sensitive set put everyone in the right mood to keep going for the night. Stranger Things opening theme composers S U R V I V E were an unexpected awesome finding at the Pitchfork stage, right before heading to Heineken’s, wondering what would Aphex Twin provide. We were shocked to hear Bala Club founder Kamixlo’s anthem ‘Paleta’ in his set, while Richard D James self-sabotaged the show every seven-eight minutes to switch styles. Images of attendees were glitched in the meantime on the side screens, which also showed alterations of famous Spanish pop-culture figures by the end. Meanwhile at the Primavera stage, Melbourne seven-piece King Gizzard & The Lizard Wizard gave everyone a lesson in instrument playing. Their fuzzy phase guitars, pillaging drums and hazy vocals knocked us off our feet, leaving us satisfied enough to go to bed and rest for the upcoming days. On Friday we were already a bit slow, so we reached Fòrum just in time to see the romantic output of Chicago’s Whitney. 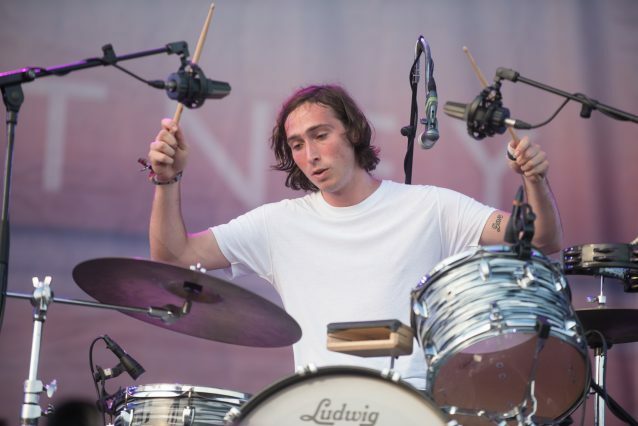 The pleasing melodies sung by drummer-frontman Julien Ehrlich soothed our hungover brains and were accompanied by a beautiful sunset. 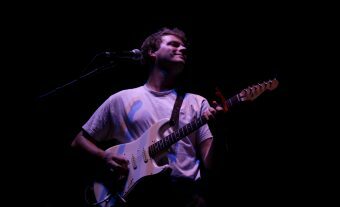 Mac DeMarco made a brief appearance during the show to some people’s amusement. We were then ready for Desperados stage again. Huerco S. and Marie Davidson followed up Whitney’s nostalgic country folk. The charismatic Canadian poetess captivated half of Bacardí’s audience with her energetic bass beats, her French accent and the feminist smart but funny lyrics. She paved the way for Kornél Kovács, who did a ‘just good enough’ set to keep us dancing for a few more minutes. Sleaford Mods had some technical issues at the Ray-Ban stage, which led them to repeatedly demonstrate their disappointment by pulling their pants off. When the show finally started 30 minutes later, people was a bit bored already, and even though their live performances usually provide relentless energy, on this occasion it felt a bit weak. However, the night went on with German dance music producer Michael Mayer, whose 2012 Boiler Room set is a favourite of ours. 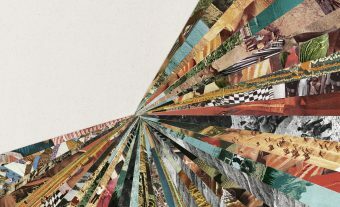 Barcelona-based duo Talaboman (formed by the much celebrated John Talabot and Axel Boman) provided an end to a day that left us wanting more. 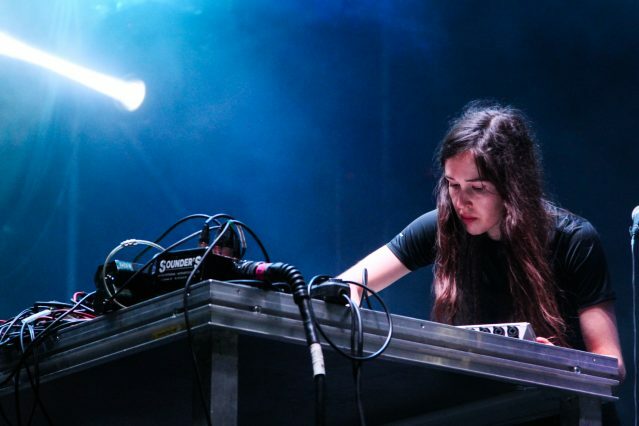 Saturday started with some great national acts: hip-hop trio Agorazein at the adidas Originals stage, and the raw, contemporary flamenco of C. Tangana’s girlfriend Rosalía at Auditori Rockdelux set the bar high for Spanish artists. At the same Auditori, Alex Cameron provided one of the most genuine performances of the festival. His crooner style combined aspects of Nick Cave and Sean Nicholas Savage, turning his music into something unique and new. 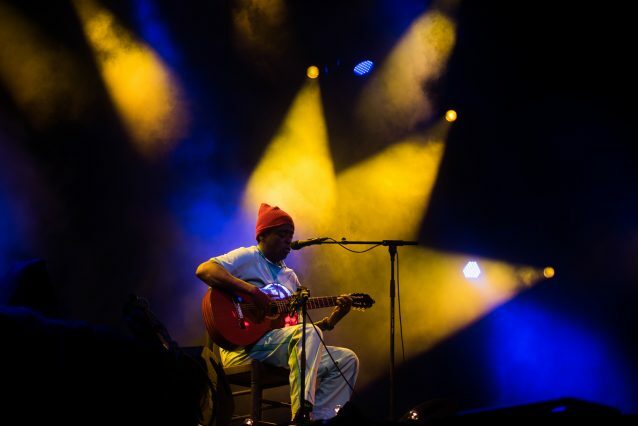 Brazilian samba singer Seu Jorge took his turn at the Ray-Ban stage to perform The Life Aquatic Studio Sessions. Unlike Sleaford Mods, he succeeded at encompassing the area with his sound, making people sing along to almost all of his songs and accompanied only by his acoustic guitar. It was an emotional and stunning gig, a beautiful and very opportune start to a promising night. John Talabot’s disco set has become a Primavera Sound classic for the last few years, and most of the festival attendees know that. At some point the Desperados beach stage reached its most crowded point, with people showing off their best dance moves all over the place. We had high hopes for Skepta, so we moved to the Heineken side. The poor quality of the sound at that stage meant the show wasn’t as loud as it needed to be, and although we frantically danced to ‘That’s Not Me’, we deserted the area before the gig was even finished. These wouldn’t be the last technical issues at the festival: Viet Cong’s brand-new outfit Preoccupations had their sound cut at the end of their show, which didn’t stop them from finishing the set anyway and receiving the public’s empathy and acclaim. Finally, !!! and DJ Coco concluded the three-day experience at Ray-Ban. As at the end of every year, emotional all-time classics were provided by the Barcelona DJ, hugs were given and confetti was thrown in the air. It even feels sad to write about the experience now. We’ll look forward next year’s edition here at The Monitors, as we usually do. 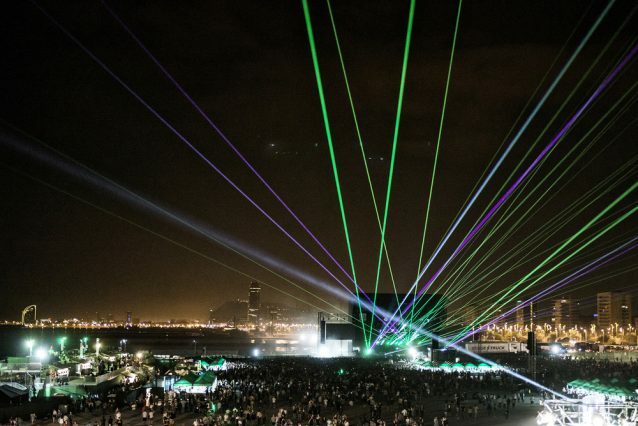 So long, Primavera!